Horses pick up on your energy. If you trust them, they will trust you but you have to show them you’re willing to communicate with them and take the lead. Well trained horses pick up on simple ques and are more intuitive than the average joe. Before you step into the arena, be sure you’ve left your stressors behind or be prepared to work them out on the trail. Wranglers have withstood the test of time in cowboy culture for a reason. The safest trail-worthy attire is always best. That means a long pair of sturdy pants, a sweat-wicking shirt, sunscreen, and a hat that keeps the sun off your neck. We put safety first so our aspiring riders who show up in open-toed shoes and unfit clothing may be asked to change into something more suitable before saddling up. First time rider? Facing your equinophobia? 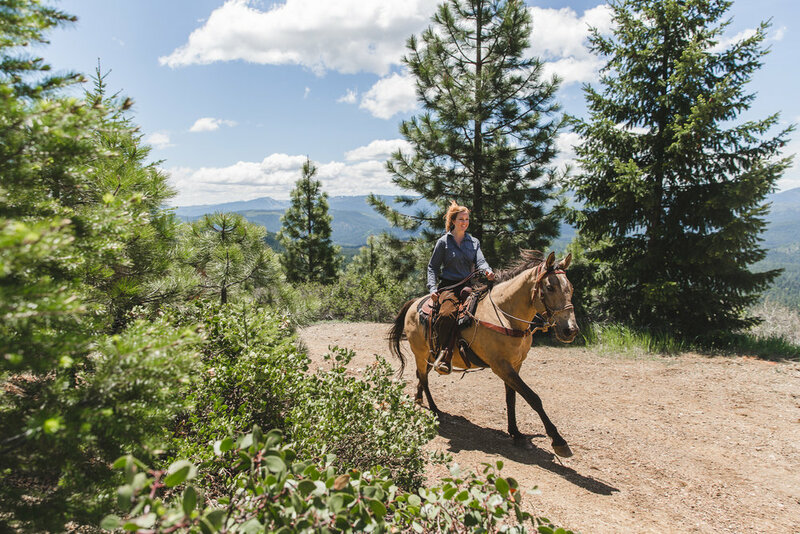 Or are you a retired rodeo queen with a worthy riding game eager to get back on an open trail? Either way, we are excited to help you reach your goals. Our herd is especially trained for trail rides with Greenhorns. They are experts at teaching but could use a good run if you want one. Our wranglers are uniquely positioned as expert horsemen and patient teachers with techniques to get every learning style comfortable on a horse. All we ask is that you come with an open mind and a respectful attitude. Let us do what we do best and get you riding to #cultivateyourcowboy. A trail ride is a worthy workout and, like most other athletic endeavors, posture matters most of all. FInding a comfortable posture in the saddle takes some time to learn but, when developed, can transform a rider’s experience. Don’t be discouraged when you don’t feel comfortable right away. We will work at your pace to make sure you have the best and most comfortable riding experience while you’re here.